Helicopter Tour Agency in London, United Kingdom. The London Buzz is our 12 minute flight, following the Thames towards London Bridge and back capturing all the iconic sights of London. most popular tour – Spend 18 minutes winding along the Thames to Greenwich and back, see London as never before with breathtaking views as London opens up before you. Take the tour exclusively to your party. 12 minute flight for 1-6 people. Private use for your party (1-6 people). 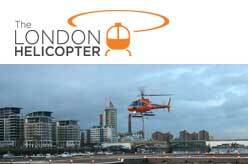 18 minutes from Barnes to Greenwich from the only Central London Heliport in Battersea. Within this 30 minute tour you will see all the delights of the London Sights, but also heading further west down towards the beauty of Kew Gardens. Private basis for 1 to 6 people. Battersea, London SW11 3BE, England. Page updated : 31 October, 2018.